Kindle Library Lending is available to anyone who has an e-ink Kindle, Kindle Fire, or Kindle reading app. The books can be downloaded via Wi-Fi or USB. Loan periods vary by library. So it looks like a win win situation for both parties. Customers who want to keep a book can purchase them on Amazon. Amazon has the broad customer base and selection of books to bring to the table. I do hope that they can eliminate some of the steps to downloading a book. In some cases it takes a lot of digging to even find the e-book collection on the library’s website. OverDrive is the repository that is used for holding digital book collections. This includes both e-books and audiobooks. The e-book collections are available on the Kindle, Nook, and any other e-reader that supports ePub format. E-books can also be accessed on the computer. If the service is offered at your local library, a link to it should be fairly prominent on the library’s website. Most states have a digital library account with OverDrive. North Carolina’s is called the NC Digital Library. From there, select libraries subscribe to the account and offer e-books. If your library doesn’t currently offer them, keep checking back. More libraries are constantly being added to the service. I see articles about individual libraries launching e-book lending all the time. Between Kindle Library Lending from my local library and the Kindle Owner’s Lending Library, I’ve been able to find a lot of good reading material for free. There are also a lot of reduced priced Kindle books available as well. Each month features 100 Kindle Books under $3.99. The major bestsellers aren’t available on either yet unfortunately, but they do offer a chance to explore new authors and catch up on older bestsellers. Amazon made what appeared to be some fairly big opponents in the earliest days of the Kindle. All they had to do was decide to go with a closed format. Unlike some companies who might have decided that a strong DRM scheme was plenty of protection, they made sure that Kindle owners were locked in by consciously failing to support the industry standard eBook format. It struck many people, myself included, as manipulative and more than a little bit condescending. Thinking back, many of my earliest complaints about the Kindle revolved around the EPUB format. I was ideologically supportive of the Nook in a very strong way as a result. They might have wanted to lock in customers via DRM, but at least things like outside purchases and library books would work if the user wanted to make the effort to access them. MobiPocket format was already too outdated in many situations. Oddly enough, in principle the objections remain to this day. The difference is that now customers aren’t expected to buy into an unproven platform with no guarantee that success was ahead. 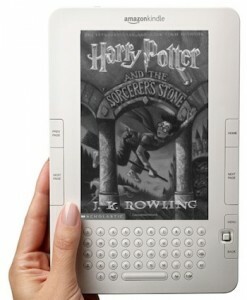 Keep in mind that the Kindle was not the first E Ink eReader. Sony was already doing a fairly good job of fizzling out by then and has been taking a back seat in the field ever since as a result. My own change of opinion regarding the importance of the eBook format conflict stems from purely practical matters. We have reached a point where there is literally nothing you can’t do with a Kindle that can be done on another device. Library books are plentiful, no author or publisher is likely to boycott the Kindle platform in favor of the competition, and on the off chance that you find a DRM-free eBook you want on your device you can convert it for free with Calibre (a practical necessity for the eBook enthusiast in case you haven’t adopted already. Google it!). In a situation where the format itself offers no particular advantage inherent to itself, there is no longer much reason to cling to it. There is a reason you don’t see much use of HD-DVD anymore, or Betamax before that. As we move forward into the next generation of formats, HTML5 forms the underlying structure. Kindle Format 8 looks to allow for as much, or as little, formatting as the person producing a given publication desires as a result. This will improve Amazon’s ability to present their media equally well on practically any size display, which makes sense given speculation regarding future Kindle Tablet options. Nobody else seems to have really adopted an equally versatile approach yet, and even if that happens it won’t necessarily change anything. There is only so much you can do in order to essentially show off text in an attractive manner. What it all comes down to is that customers will go where they get the best experience. EPUB might be better than Mobi, but with the Kindle providing the better hardware and Amazon backing their product with strong infrastructure and a great book store that didn’t matter enough. It’s one more format war down. Michael Hart, the founder of ebooks and Project Gutenberg, died on September 6, 2011 at the age of 64. His death will be a huge loss for the digital book and literary community. However, the work he has already done has set the groundwork in the ebook world. Other members of the literary community will have to continue his mission to provide global literacy. Hart founded Project Gutenberg in 1971, and it is the longest running literary project recorded. Project Gutenberg currently offers over 36,000 public domain ebooks that are available on the Kindle, iPad, PC and other computers or portable devices that allow ePub, HTML, or Simple Text. All of the books are free, and there’s no cost to join. A wealth of information is literally at your fingertips. The information is top quality. Hart’s ebook idea began when he typed up a copy of the Declaration of Independence on his computer and sent it to others in the network at the University of Illinois Urbana-Champaign. This was barely after the internet was created. Hart’s literary impact was profound because through ebooks, he opened up literature to the global audience. Project Gutenberg currently has ebooks available in 60 languages. It is also a huge asset to libraries and research. The longevity of this project proves that it the ability to adapt right along with the rapid changes in technology. E-book readers such as the Kindle, Nook and Kobo are just part of the progression towards better literacy. They add portability and easy access to millions of ebooks. The Kindle has made life much easier for people who can’t read small print through its font size adjustments feature. One of Michael Hart’s goals was to reach out to children. This goal is being realized as more children’s books are being added to ebook collections, and as Kindles and other e-book readers are being introduced in the schools. The lure of cool gadgets are enticing children who normally do not like reading, to consider it. It always amazes me when I read about how long some technologies have really been around. I have only thought of ebooks being a new, twenty-first century invention. But, in fact, they have a rather long, rich history. Project Gutenberg dates all the way back to 1971, before computers really became a household item. E-books were around 36 years before the Kindle was even invented! So, a big thank you goes out to Michael Hart for being such a champion for literacy, and for making information accessible to a much greater, and more diverse audience. In recent blogs and reports, a rumor has sprung up that the Harry Potter series being sold through the author’s soon to be opened ‘Pottermore” site will not include direct Kindle compatibility. As should probably be fairly obvious, this is quite definitely not true. The popularity of the rumor was such that Amazon even came forward and announced that the popular children’s books will find their way over. The origin of the whole ruckus seems to have been an article about the Pottermore site teaming up with Google Books. Probably just a matter of hopeful thinking on Google fans, I would imagine. The post mentions efforts being made to integrate Pottermore and Google Books, including an agreement wherein Google Checkout is the preferred third party payment platform for the new site. The phrasing is very positive for Google, which is to be expected on the official Google Books blog. The only definite claims we have, however, are that there will be sufficient integration to allow buyers to push their new Harry Potter books out into your Google Books “library in the cloud” and that Google Checkout will be available. No exclusivity is implied, whether it be in terms of eBook platform, payment platform, or anything else. One of the more interesting spinoffs from that somewhat overblown topic is the idea that the Harry Potter series will in some way be used to force Amazon into adding EPUB compatibility for the Kindle line. While there has been no official word on this, I’m going to go out on a limb and say that there’s not a chance it will happen. For one, Rowling is maintaining complete control over her products and has not, to the best of my knowledge, ever expressed a strong inclination to advocate for her favorite file format. Why would she? Also, it would make little sense to alienate Amazon in any way give that they currently have the largest customer base in the eReading world. Given that the Kindle can already read DRM-free MobiPocket eBooks, there is no reason that I can think of for the Pottermore site to try to force the EPUB issue. What business would want to lose money by failing to spend a minute or less converting a file from one format to another? When October rolls around, I would anticipate that it will be as easy for a Kindle user to get their new Harry Potter stuff as it will be for anybody else, even if Amazon is being fairly quiet about their integration efforts right now. The new eBooks should be available in every format still used today, and quite possibly some truly obsolete ones. Since there will be no DRM included in the files, even if your favorite is not represented there are always programs like Calibre. Let’s face it, though, unless you are still using the Sony BBeB out of personal preference or something, there is little chance of being overlooked. The Pottermore site will be taking care of the fans. iRiver has announced a new e-book reader that looks a whole lot like the Kindle 2 with its white cover, grayscale screen and keyboard. It is called the iRiver Wi-Fi Story and is available in the UK for 250 pounds. That equals to about $376 USD. Wi-Fi Story users can download books from the WHSmith e-book store via the wi-fi connection. The device is compatible with many file types: ePub, PDF, Microsoft Office, and images such as JPG, GIF and BIMP. I wonder if the images work better for the iRiver device than they do for the Kindle? Kindle readers have complained about the quality of graphics on the e-reader for awhile now, especially for magazines. The iRiver Wi-Fi Story also includes the ability to play music. Considering that iRiver is known for awesome media players, the ability to play music would allow the e-reader to fit in with the other media players made by the company. Amazon recently released audio for Kindle, but it isn’t compatible with the Kindle itself. Hopefully, that will be available in a future release. The iRiver e-reader definitely has an advantage with the media feature for now. The iRiver e-reader doesn’t hold a candle to the Kindle price wise. The Kindle is available for $189, which is almost $200 less than the price of the Wi-Fi Story in US dollars. The battery life for the Wi-Fi Story is 900 pages. The Kindle’s battery life is two weeks with wireless connection off. I’m not sure how they get the 900 pages figure because reading speed depends on the individual. 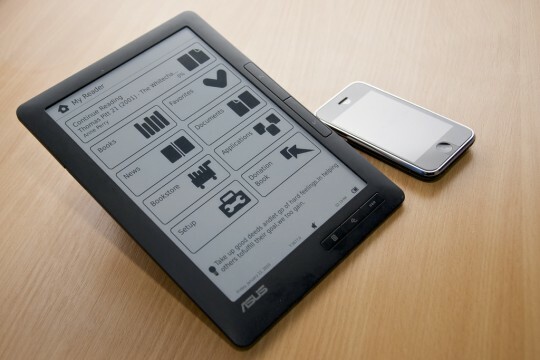 Will ePub be the Death of the Kindle? One of the recent major developments in the eReader market is Sony’s announcement that they will be fully adopting the ePub standard. Sony plans to completely abandon their own, proprietary format in what seems to be a concerted effort to dethrone the Kindle. Selling books in ePub won’t necessarily help the Sony Reader, but it will open the store to owners of, say, the COOL-ER Reader. Likewise, Sony Reader owners would realize that other ePub stores, such as Google Books, would be just as compatible with their device. 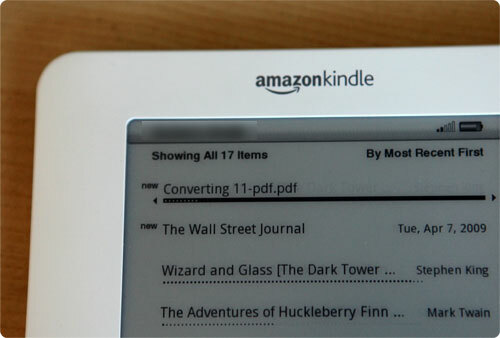 Some analysts think that this is the best way to pull Amazon from the top of the eReader market. If the market is filled with similar devices that all buy materials from the same, varied selection of online stores, Amazon stands out as the only company with such tight restrictions. There won’t necessarily be another device that leads the market in the way the Kindle has, but other companies will be free to compete without automatically riding Amazon’s coattails. Past controversies surrounding the Kindle would make it seem even more unfavorable compared to the less restrictive ePub readers. If widespread adaption of ePub does kill the Kindle, it would lead to an interesting eBook market. Consumers would all pick a device based off of personal preference/budget. After that, shopping for a book would be like the digital equivalent of today’s brick and mortar stores. If you want a specific book, you would shop around between various large and independent bookstores. Of course, the Kindle wouldn’t really be killed. Amazon would simply make it another ePub reader. It could be killed, however, in the sense that it would no longer have the distinction that sets it apart from other readers. Let’s have a small poll about Kindle DRM restrictions. Feel free to respond in the comments as well.